It funds my lifestyle and my travels, and ensures I have a roof over my head and food on the table. 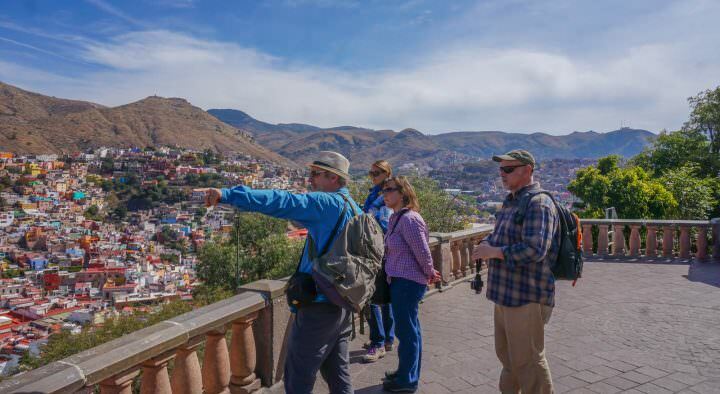 Oh, and the odd snorkeling tour or night out on the town is great too. As I’m sure you were also told, “to get money you need to get a job.” That’s what my university guidance counselor advised. Study hard, and find a nice corporate role then you’ll be set for life. That’s what my parent’s generation did, and for the most part, it worked out alright. But times are changing. The internet has exploded in popularity, and with it a comes a whole new set of travel jobs, lucrative online jobs and opportunities. 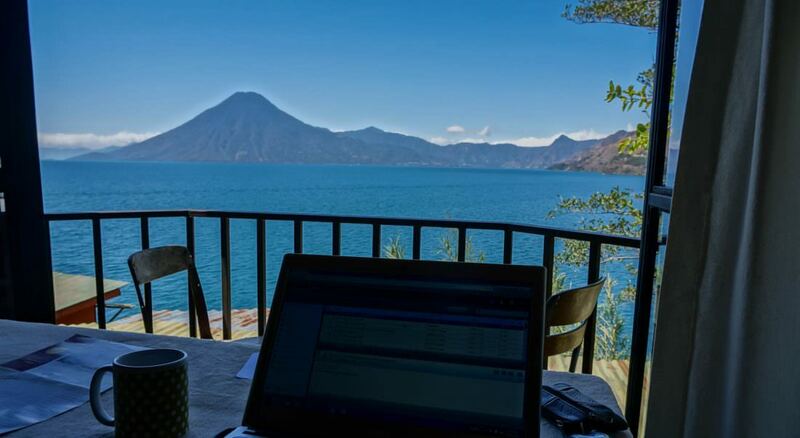 You can now work from anywhere, which has sparked a whole new movement. What If I were to tell you that you can get paid to write online, you can easily make money from home and you can actually get paid to travel? What if I showed you a few websites to help in your quest to learn how to make money online? The term “digital nomad” is probably the easiest way to classify this new breed of workers, people who use the internet to achieve location independence, and still have a successful career. It is. I’m writing this today from Myanmar. 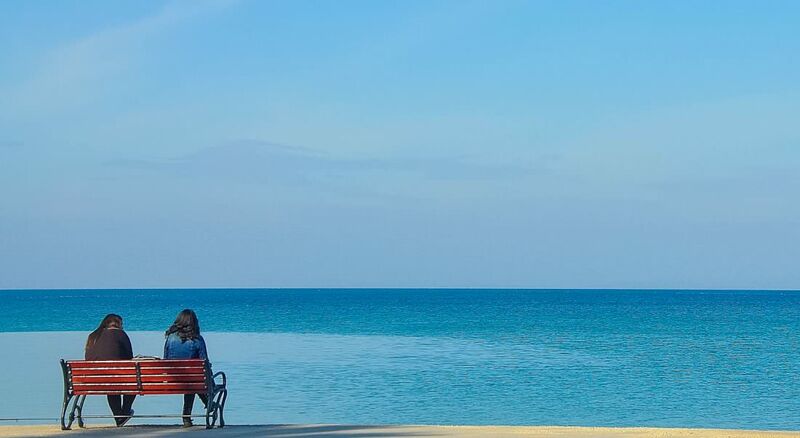 Last year I worked in Thailand, Japan, the Maldives, and Malaysia. It’s unreal. But the hardest part is getting started. I built a set of resources for digital nomads to help, and in my opinion, the challenge to overcome is making money. You need an income. You need to get paid. And that’s where today’s post is going to help. 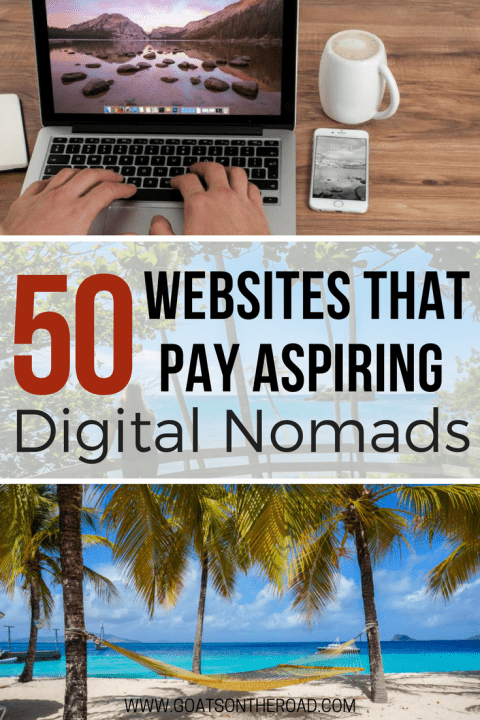 Here I cover 50 of the best websites that pay aspiring digital nomads. I’ll break the post down into the different areas of expertise you may have, to make it easy for you to find opportunities, apply, and start building online income streams of your own. When you’re just getting started a full-time job is the most stable source of income. 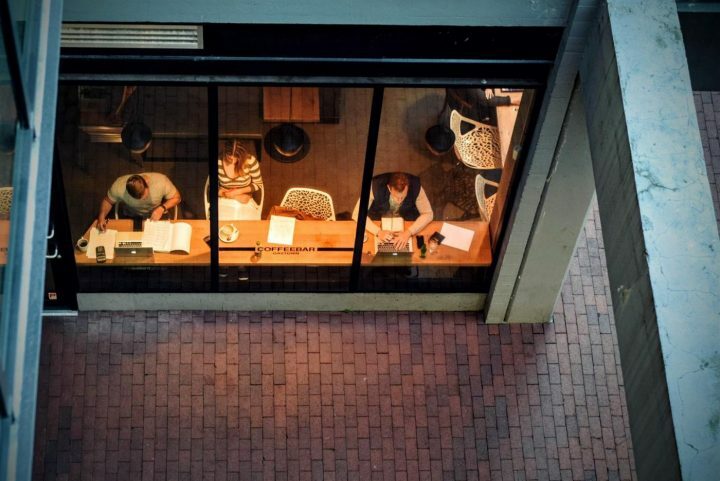 Here’s the best part, companies have realized the best talent demands flexible working arrangements, and there are more and more companies hiring remote workers. My first piece of advice is to take a look at remote job opportunities. You may just find the perfect job for you. Another great way to earn a bit of extra income is through paid online surveys. You won’t get rich, but in many cases they’ll pay you to do tasks that you do every day anyways, like online shopping, browsing the web and watching videos! AngelList started in 2010 as a mailing list for startups to raise capital, but after they added a recruitment functionality it quickly became one of the most popular ways to find a startup job. It’s free to register, and you’ll get access to their entire database of available positions. Then just toggle the “Job Type” to “Remote OK” and you’ll see all the jobs you can apply for. Within most postings, you’ll see the salary and any equity offered, and what I particularly like is that it’s usually the founders who’ll get back to you. In a forum run by the team at Y Combinator, one of their most popular monthly threads is the who is hiring post. Of course, in a community with over 3,000 startup founders, there’s always interesting opportunities available, and because no recruiters are allowed to use it, you get to interact directly with the startups themselves. There’s also a neat little script that’s been created to help navigate the thread, but unless you’re a developer, it may prove more hassle than it’s worth trying to get this working. What I recommend is to just use the basic search function in your browser, on the keyword “REMOTE.” Then you can quickly flick through the results to see what positions could suit a digital nomad. Authentic Jobs is a job board that spawned out of a successful blog and is where many top-tier brands head when they’re looking for staff. Think brands like Tesla, Apple, and Facebook; they’ve all posted jobs on this platform. Clients are charged to post a job, which means it’s totally free for anyone looking for an opportunity. All you need to do is toggle the “Remote” switch on the dashboard, and you’ll be able to browse through the available jobs. The only downside of this platform that’s marketed at “creatives” is the majority of positions are for developers, with a handful of design jobs thrown in, and in my experience, expected salaries haven’t always been listed upfront. Designed to be the “Facebook of startups,” the goal with F6S was to provide a community to help business owners succeed. The hiring section is what’ll interest digital nomads the most, with over 600,000 startups using the platform to find staff. It’s free to register, and then all you need to do is type “REMOTE” into the search field. What I particularly like is that the search results display the salary for each role, so you know exactly what to expect before you spend time applying for a position. Plus, they have opportunities to work with startups in almost every country in the world, which could make for an interesting few months abroad. 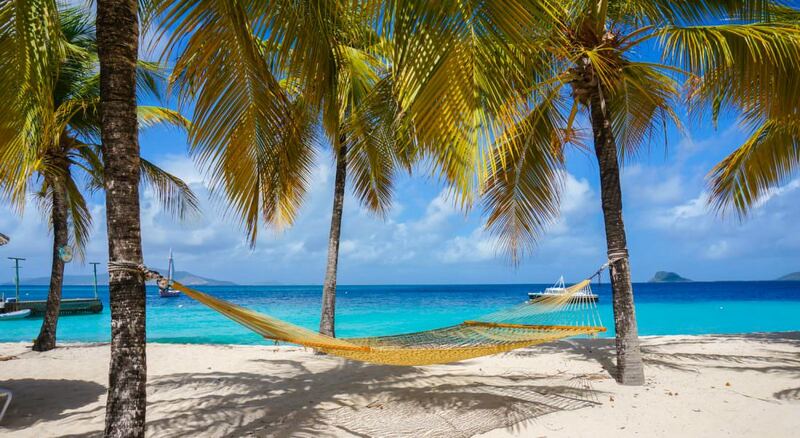 Calling themselves the premier destination for telecommuting, FlexJobs is a curated job board. But here’s the kicker, it’s not a free service, and that tends to put people off. It’s $14.95 a month, or if you sign up for a year, it costs $49.95 to access their listings. They do provide coupons if you ask nicely, so talk to their online chat agents as I was able to get 30 percent off. Personally, I rather like the fact there are no shady or scam jobs slipping through the cracks, and you can easily filter for positions that are 100% telecommuting. 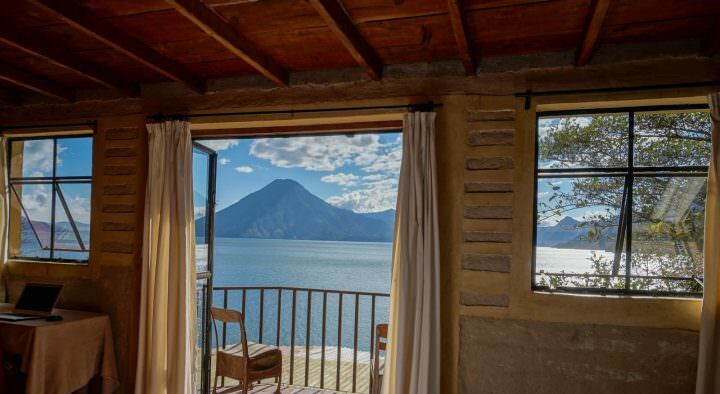 Roughly 10 percent of their listings would be suitable for digital nomads. I do need to mention that FlexJobs is an aggregator, so some of the listings you will be able to find on other job boards for free, which can be a little frustrating after paying for FlexJobs. But remember, what you’re paying for is the convenience, and being able to browse the best remote jobs in a single set of search results, instead of checking site after site after site. It’s worth it. Probably the biggest job website in the world, Indeed has over 700,000 jobs posted every week. Now while it is targeting traditional positions, if you click into their “Advanced Job Search” you can use terms like “remote” or “work from home” to see everything that would suit a digital nomad. Running a search on these terms today, I get 9,202 matches with jobs posted in the last week. I can drill down further into salary ranges, whether it’s full or part-time work and even the experience level required. One of my first stops when looking for a job is always Indeed, and it’s highly recommended because of the amount of jobs available. When I first stumbled across Jobbatical I loved the idea. It’s essentially just a platform you can use to take a “job” + “sabbatical” and go work on an exciting new project in an exciting new environment. 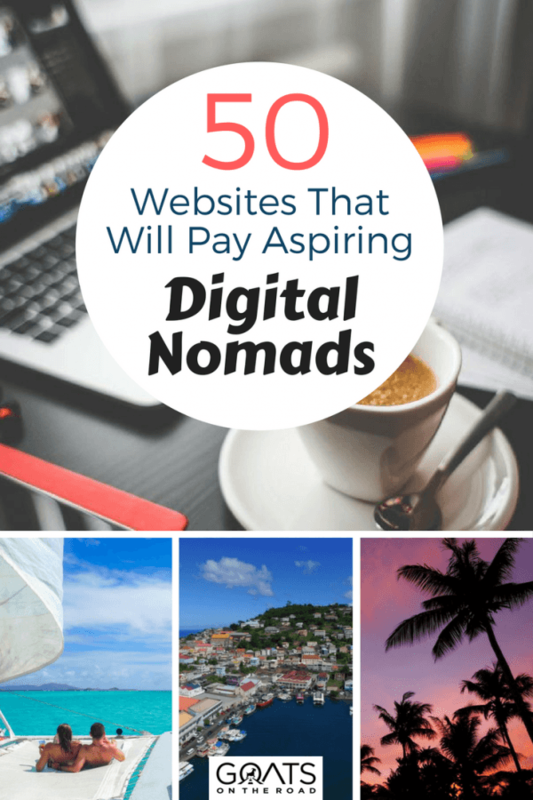 Or a way to dip your toes into the lifestyle of being a digital nomad before you jump all the way in. At the time of writing, there were 63 teams spread across 32 countries looking for help, covering a wide range of different industries. Land a gig with one of these companies and while they’ll still need you to come into the office, you’re going to be relocated somewhere exciting, like Kenya, Thailand, Costa Rica or Ireland, to name a few. 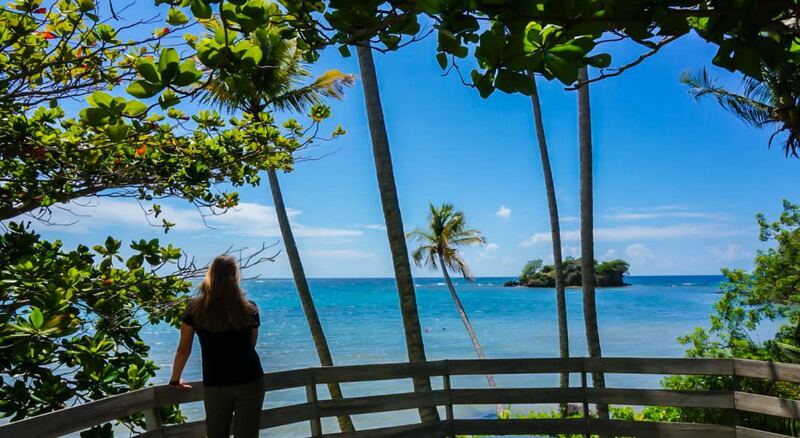 Jobbatical is perfect for anyone who is a little apprehensive about going abroad on their own the first time around. A job board that’s dedicated to connecting digital nomads with the forward-thinking companies offering the ability to work remotely. Each posting is carefully reviewed to ensure only the highest quality postings get listed, and despite all of this it remains completely free for job seekers to use. The easiest way to stay current on the latest jobs is to follow their Twitter account. In their job search results, filters make it easy to view the open positions in your field of expertise. Plus, they have some great opportunities for marketers, project managers and a variety of other niches for digital nomads to apply. A website that’s also a successful resource for digital nomads. What’s nice is the amount of content and learning materials provided which are geared towards remote working success. They also run a question and answer section where you can ask companies who already have remote teams anything you like. Except maybe pestering them for a job. Don’t do that. In addition to design and development jobs typical to remote work, Remote.co also pulls in opportunities within education, recruitment, finance and more, which makes it one of the widest reaching job listing websites for digital nomads that I’ve come across. Plus they let you apply directly for the jobs, which is a nice touch. What makes Remote OK awesome is that it’s a free aggregator of job listings, catering specifically for people who are looking to work remotely. It’s like a free version of FlexJobs, and is where I would recommend most aspiring digital nomads begin their job search. You don’t even need to sign up to access the listings. There are two things making this website great. It doesn’t cater to just traditional tech employees, and there are easy-to-use filters to find “non-tech” positions along with the “highest paid” job roles if you’re lost and not knowing where to start. Plus, you can subscribe to their list to get a daily, weekly, or monthly review of all the new remote jobs that come up. With a goal to be the most comprehensive resource for “techies,” what initially started as a job board for developers now also lists opportunities for writers, marketers, and a host of other digital nomad-type industries. The majority of jobs are for full-time work, which you can do anywhere. My favorite part about this website is the simplicity. There’s no fuss, and you can see a full list of remote job openings in one simple list. You’ve also got new jobs coming online every few hours, which makes it a bit more active than some of the more niche-related job boards out there. Skip the Drive was created after the founder Peter Metz struggled to find a telecommuting job board and a job himself, so he built it. 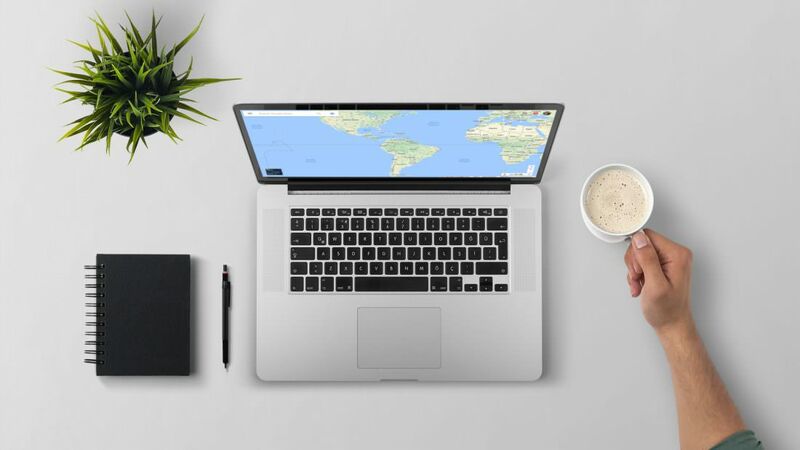 Every job on the site is a remote position, and there’s a wide range of categories to help aspiring digital nomads find the right opportunity. Within each category, there’s the ability to set up a job alert so you’re notified by email for each new listing. It is, and will always remain, completely free without any registration required for job seekers. A community for startup founders and entrepreneurs in Europe, they also have a job board that has some of the most interesting positions in the region. There’s a filter for “Remote Work,” and the majority of jobs posted are from companies in Europe. What I like best is that there’s also a range of sales and marketing roles, or you can filter by specific companies if you have your eye on a particular business you want to work for. They’ve also made it exceedingly simple to set up a JobMail, once you’ve got your search results. You just click “subscribe” and enter your email, and you’ll get notified as soon as new jobs become available. In a similar style to Jobbatical, Tech Me Abroad is targeting developers. It’s completely free to use, and lists available jobs in companies all over the world who are willing to recruit from abroad. That means no hassles with visas; you just need to land a gig in your dream country. Again, I think this is an ideal way to get used to the concept of being a digital nomad, while still having a strong support network. Your new company will sort the details, and you get to experience a new country, new environment, and an exciting new job. The only thing I don’t like about this website is there’s no easy way to see the expected salary for a particular job. With a goal to create a space for digital nomads to find opportunities that don’t fit the traditional mold of a job, The Remote Working Company seeks to bring these together in a single place. You can easily filter on the type of job you’re after, and there are new listings available every day. What I like is the ability to filter on the industry, so you can quickly get an overview of the marketing jobs or the copywriting jobs that are available. Plus, there’s no need to create profiles or to sign up to apply for a job, you get all the contact details you need in each listing. 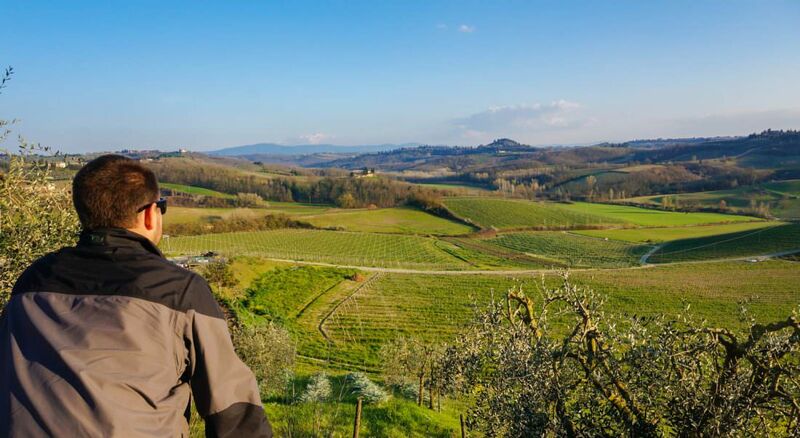 A simple job board created by the authors of Remote, a best-selling book that has become almost a guidebook for digital nomads who want to successfully work from anywhere. Read it if you’re still not yet convinced there’s been a radical shift in the way we work. The website breaks down the available jobs per industry, with RSS feeds you can subscribe to so you never miss a new post. What’s refreshing is that their focus is on customer support and marketing, but in my experience not enough of their listings were upfront with the expected salary figures. Another curated list of remote positions, you’ll find there’s also the odd opportunity for those looking for sales, marketing, writing and even consulting gigs. Of course, the most frequently listed jobs on this platform are still for developers, the next most popular category is general management, which is a welcome relief for all of the non-tech digital nomads seeking work. The best part about this platform is the amount of detail you can customize into your daily job alerts. Pick the particular industries you want to see opportunities from, and get a much more targeted list of results to your email than what Remote OK provides. What’s particularly nice about The Muse is the care that goes into their job board. It’s not just a list of jobs, you can also learn what it’s like to work for a particular company, and they often have columns from the employees that talk about culture, daily life, and what to expect. 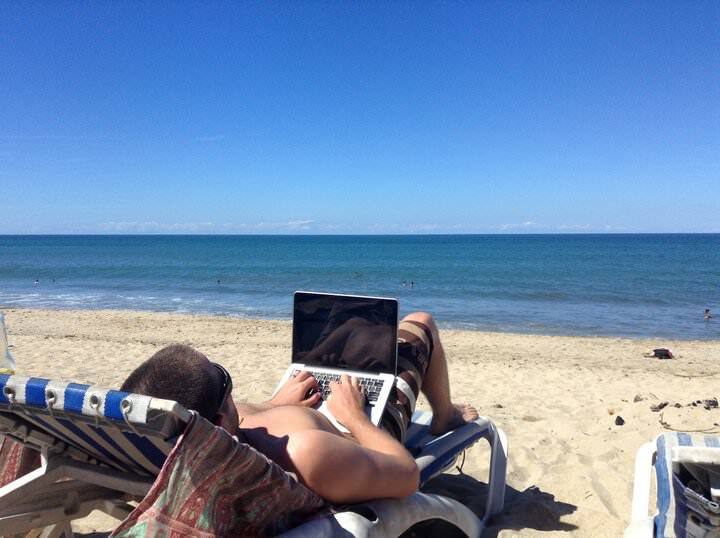 Outside of a full-time position, what most digital nomads do is freelance. It requires a proactive approach to consistently finding new projects, but often you’ll be able to make far more money than you would in a full-time remote position. 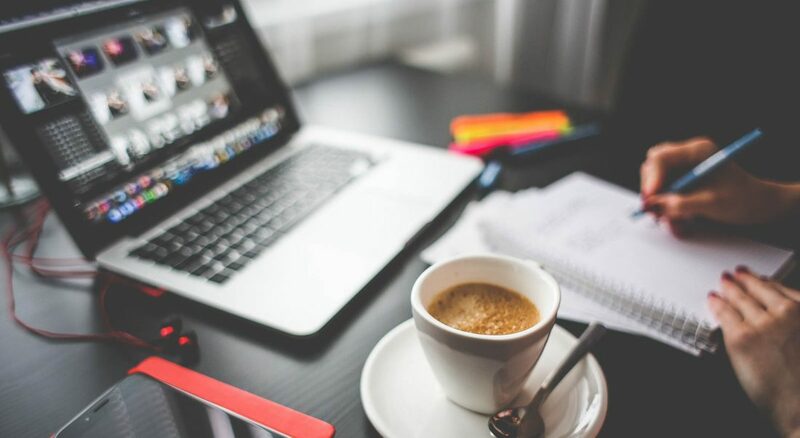 I’ll cover some of the best niche-specific websites in later sections, for now, I’ll list the general freelance platforms where you can find a whole variety of projects to work on. When you’re looking to be a little more professional than a fly by the wind freelancer, Coworks is for you. It’s free to use, and in addition to receiving hand-picked job opportunities in your mailbox, they’ve got the ability to team-up and work with other freelancers on larger projects, as well as billing support and global payment options. My favorite part though is their referral program. If you spot the perfect job for one of your friends, send them the referral link. If they land the job, you’ll get a commission. It’s as easy as that. Now here’s the kicker. When you secure one of the opportunities you’ve been sent and complete a job, Coworks takes a 12 percent cut. Unfortunately, most freelancing platforms operate like this, so make sure you factor these service charges into the quotes you’re pitching. The concept behind Fiverr is that you can buy digital services for $5. Logo design, copywriting, and voiceovers are staples, but there are some very random things for sale once you start diving into the pranks and viral video categories. But that’s a good thing. As a seller, you’ve got plenty of opportunities to make money and get paid. The trick though is to start with the basic $5 gigs and start building a reputation. You need to delight your customers and encourage them to leave reviews. Once you start edging away from the pack, you can start increasing your prices. The most successful freelancers on the platform use the $5 product as an entry-level buy, and “up sell” additional services, so they’re averaging anywhere from $50 to $100 per order. A platform created by an actual freelancer, Folyo remains completely free for freelancers. The Folyo team don’t take a cut of any of the projects you land using their platform. They make their money much like a traditional job board, by charging clients for making a job post. This also helps to weed out a lot of the bad clients you often find on other platforms. The only downside is if you’re browsing the platform there’s nowhere that tells you just how old a particular job listing is, so you’re left wondering if it came up yesterday, last week, or three months ago. My advice is to create a profile and select the “project types” you’d like to follow, and you’ll get a new email each time a new opportunity is posted. With almost 11 million jobs posted, Freelancer.com is a behemoth in the freelancing space. Anyone is free to apply and start quoting on jobs that have been posted on the platform. Because it’s also free for clients, the platform attracts a huge amount of projects you’ll need to sort through to find the gems. It’s a good place for a new digital nomad to start earning an income online, you just need to be careful of the race to the bottom. Make sure you have a great profile, and are sending a customized reply when quoting. Most clients will ignore you if you spam out applications. My advice would be to spend your time searching for the right jobs and avoid trying to apply to everything. Regarding fees, much like the other big platforms, there are charges levied on every dollar you make, with the platform taking a 10 percent cut of your earnings. The goal behind Local Solo is to help businesses in major cities find “local freelancers” to work with. There are over 25,000 freelancers on the platform, and the best part is it’s free to use, as they don’t take a cut or any commissions from your earnings. Anyone can apply and create a profile, and then it’s simply a matter of applying for the jobs you see in your city or the biggest city nearby to you. Canada and the United States remain the most represented cities. However, if you filter by “Remote OK” in the location requirements, you’ll find a variety of gigs that you can work on from anywhere. A freelance marketplace based in the U.K., People Per Hour is one of the larger platforms and in October 2016 passed the $100 million revenue milestone. In a twist similar to Fiverr, freelancers can create “hourlies” on the platform if you have a particular set of skills that makes sense to bundle together and sell as a package. The best part about this is you don’t need to up sell; you simply offer a fair price for the services you’re selling. Creating a profile is free, and you get 15 credits to apply for jobs each month. You’ll need to buy more if you go over this, and when you do land a job, People Per Hour takes a cut from every dollar earned. For new freelancers, you get charged 5 percent on all income you earn above $565, and you pay a 15 percent fee on this first $565. What I like best about Speedlancer is that clients are there to get work done. They cater to four distinct categories – design, writing, data entry, and research. You do need to cater to their terms, once a freelancer accepts a job, it needs to be completed within 4 hours. To get in, you have to follow their screening process, and there’s always the chance that you won’t be accepted if your skills or portfolio are lacking. Taking their writing category as an example, you can expect to make anywhere from $30 to $50 per task, which would be along the lines of a 500-word blog post, or a short press release. Unlike many of the other general freelancing platforms, Toptal is rather tough to get into. They claim to have the top 3 percent of freelancing talent. What this means is that less than 3 percent of the freelancers who apply actually make it through their screening process. You’ll get tested on your ability to communicate in English, your technical skills in the field you’re applying for, as well as live exercises and test cases you’ll have to complete. But that’s also a good thing. Toptal has a client list that reads like the “who’s who” of the business world. AirBnb. Pfizer. Emirates. HP. If you’ve got a background in design or development, it could be an ideal fit, as you can set a much higher hourly rate on Toptal than what would be expected on almost any other freelancing platform, and the clients are much more serious. There’s a $500 deposit required before a client can even post a job, which weeds out many of the bad listings you get on other platforms. Upwork is one of the biggest marketplaces for freelancers to find work, which is both a good and a bad thing. There will be plenty of jobs you can apply for, but you’ll also be in a highly competitive environment which may leave you struggling to actually win a gig. The trick is to set up a solid profile, then start with small projects to build your reputation and earn good reviews. It will take time to build your rates up, so be patient, and keep working until it begins to snowball. I started my freelance career on Upwork (what was previously Elance), and whilst it can be frustrating sorting through hundreds of jobs to even find one worth applying to, the diamonds you find are worth it. It’s free to create a profile, and you get 60 “connects” a month to apply to jobs. If you want more, you need to pay, but the sucker punch from Upwork is their fees. They changed this in 2016 and will take a pocket-robbing 20 percent of each job that’s under $500. If it’s a larger job their fee is only 10 percent, and once it goes above $10,000 they only take 5 percent. A freelancing platform designed for Latin America, the goal of the founders was to provide a channel for freelancers and businesses doing local projects to connect. If you’re a Hispanic or Portuguese freelancer, this is the platform you need to be on, as there’s also much lower competition than you’ll find in any of the other marketplaces in this category. The only downside is it’s probably not ideal if you’re not from Latin America, and while it’s completely free to create a profile and bid on jobs, the platform takes a 15 percent fee out of your earnings. Design is one of the fundamental skills many digital nomads use to make a living. Because good quality work is in such high demand, this often means you’re able to charge a premium rate, which goes a heck of a lot further when you’re in a country that has a significantly lower cost of living than the United States. Here’s my favorite ways for designers to make a little money. 99 Designs is a contest-based website that obviously draws a lot of negative attention from the design community because of the spec work you need to do. Once a client creates a contest, designers compete with their designs, and a winner is selected. If you win, you get paid. If not, you’re out of luck. The fees for a win range from a couple of hundred dollars into the thousands depending on the contest amount, but be forewarned, it is highly competitive. There are two reasons a designer should use this platform. First, if you’re just getting started, it’s a good way to teach yourself how to go through the creative process and see what goes into a winning design. Second, and more importantly, in my experience using the platform there’s not a whole lot of originality. If you’re a little creative and can come up with visually appealing logos that don’t look like everyone else’s, you’re going to start winning a lot more. A powerful job network that’s aimed at finding opportunities for the world’s best designers. They’re a curated community, which means you will need to send through your portfolio for review from the Coroflot team before you can get in. But once you do, you’ll also get access to companies like Nike, Adidas, Amazon and other clients who all use this platform for sourcing top-tier design work. What I like best is the information they provide on salary. Here you’ll find data sourced from tens of thousands of designers, from all over the world, so you can decide if it’s time to increase your rates. As an alternative to 99 Designs, Crowdsite runs on a similar concept. Clients create contests, which designers can pitch their logo designs on, and the winner gets paid. Again, the competition here is what you need to consider, and the most visually appealing designs that fit the brief are the ones that’ll win. A great thing about Crowdsite though are the fees. They have the lowest fees in the design contest arena at 30 percent, but that’s not the best part. If you manage to secure any ongoing design work with a client via a private project, there won’t be any commissions charged. Promoted as a channel for designers to showcase their work, get inspired by new trends and find their next opportunity. You’re missing out if you haven’t started building a portfolio on the platform. It’s like a social network centered on design, and it’s free. To find your next opportunity select the “Remote / Anywhere” filter under “Jobs” and you’ll see a list of everything that’s available. The trick is to ensure your portfolio stands out before you start applying. Connect it to your other social accounts to help a prospective client get to know “you,” share as much high-quality work as you can, and don’t be afraid to offer a glimpse behind the scenes, and showcase what goes into every successful design. The self-proclaimed “holy grail” for freelance designers, it’s an invite-only network to ensure the high-quality standards are maintained. That being said, you can request an invite, just make sure you’re sending a portfolio of your best work. With Juiiicy there’s one part they do really well, and that’s referrals. If you post a job you’ve heard about and it gets booked through the platform, you get a whopping 7 percent referral fee. Not bad for alerting the community to a new opportunity. If you land a job from Juiiicy you’ll end up getting 87 percent of the total fee (i.e. less the referral fee and Juiiicy’s charges). This is where digital nomads really hit their niche. Because all you need to start building websites and applications is a laptop. 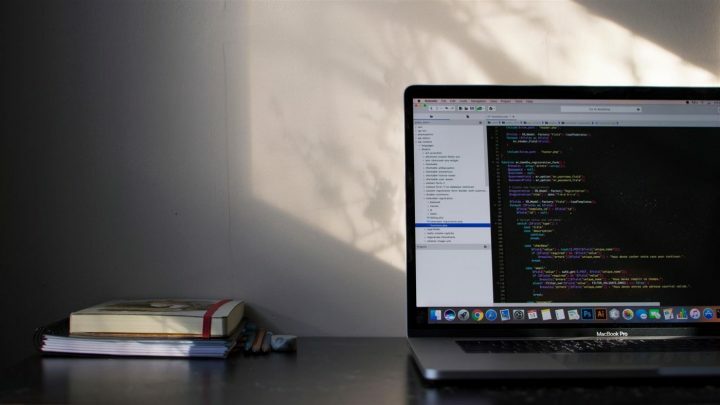 The hourly rates a good developer can charge are astronomical, developers will be one of the most common types of digital nomads you’ll meet on your travels. With almost 80,000 jobs listed at the time this article was written, Dice is one of the biggest sources for tech recruitment. But you have to find the remote jobs. Just type “REMOTE” as a keyword and hit “Find Tech Jobs”, and around 5,000 opportunities come up. In the search results, you’ll find there are a couple of additional filters. You can modify the results here to also only look at part-time or contractual-based gigs. You may notice there’s also a “telecommute” filter, but in my experience using this can lead you to missing some good gigs. Many companies will say it’s OK to be remote in the posting, but they’ll forget to flag that telecommuting is available. GitHub is one of the largest hosts of source code in the world, with over 14 million users and 35 million repositories of code. They also have a great little job board for developers. Just head to their site and type “remote” in the keyword search to see what’s available. I also like to do a second search with “remote” again in the location field, as often it’ll pull up a handful of different listings. Usually, there are anywhere from 30 to 50 jobs, so it’s easy to quickly scan through and see if there’s anything that suits. Normally you’ll find full-time gigs which are targeted towards developers with a few years experience. You can also expect decent salaries. Landing Jobs is a marketplace to connect tech pros with the companies that need them. But they’re very focused on keeping the candidates at the center of it all. Instead of being a painful process, the team at Landing Jobs believes your job search should be a pleasure, and they’re here to help with honest feedback and advice. Their job board covers everything from junior to lead positions, with a focus on startups and companies based in Europe. Under the “Remote” category you can opt to see only “Fully remote” jobs, but that’s not the best part. Full transparency with their listings is what I like most, as nearly every job has both the expected salary and a referral reward. Or more specifically, how much you can earn should you successfully refer a job to someone in your network. Now that’s cool. A women-only recruiting platform, the goal of Power to Fly is simply to help female developers land their next job. You will need to create a profile to get started, but it’s free, and once you have it 80 percent complete, you can start applying for jobs. Their client list includes the Washington Post, BuzzFeed and Time, and share a passion for diversity and inclusion. Under “Location type” you can set it to “Remote,” and then it’s just a matter of browsing the available listings. About 85 percent of all the postings are for pure tech roles, though they are getting more and more non-tech opportunities every day. The largest online community for developers. This is a place for learning, one where you can advance your skills and also find your next opportunity. Just head to their jobs page and click the filters. Under perks, you want to check the box marked “offers remote.” At the time of writing, there were 69 jobs available for remote developers, across a range of different programming languages. What is particularly cool with their platform is the developer story. Click the box “Create a Developer Story.” It’s just an email alert, but I love how they do it. Sign up with your email, and start filling out your profile for the platform. Once you’re done, Stack Overflow will start tailoring the search results and sending you opportunities that are exactly what you’re looking for. 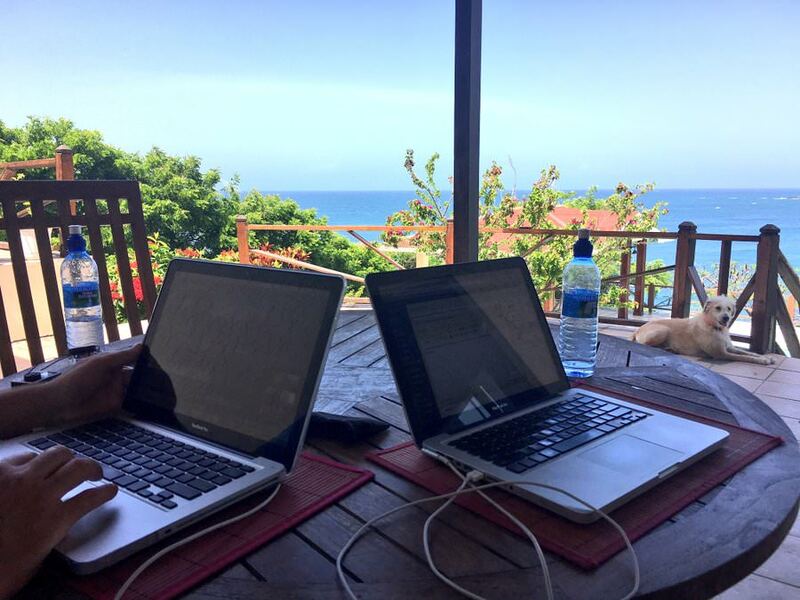 If you’re not a designer or a developer, there are still plenty of ways you can get paid as an aspiring digital nomad. 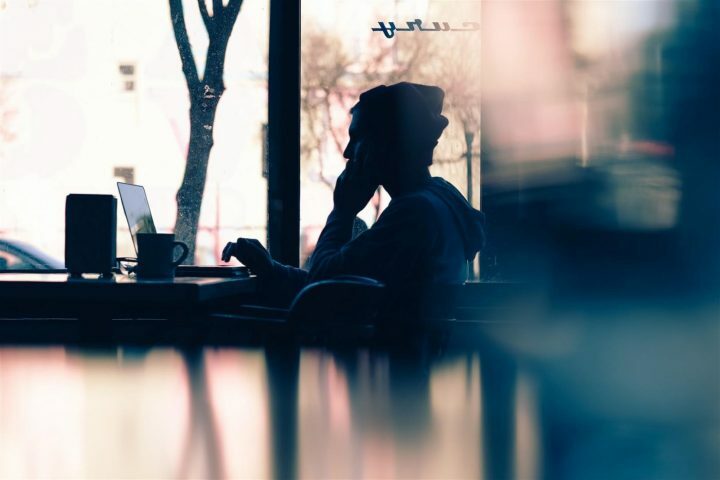 The key to it all is leveraging an existing skill to monetize it. 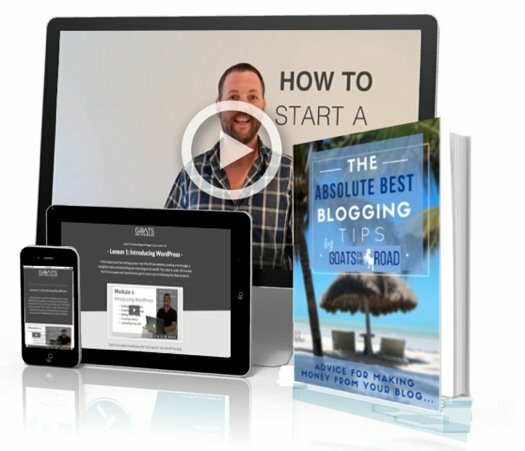 In this final section, I’ll cover a handful of the niche websites you can use to make money online. You will need a corded phone line, in addition to your laptop and an internet connection to do this job. But what I particularly like is the way they pay. You’ll earn per minute you spend on a call, but if this happens to be below the minimum wage in your state because you’re an employee of Alorica (and not a contractor) you’re guaranteed to get at least the minimum wage. The application process is straightforward. However, you will need to pay for the background check they run on you, which is $31.95. A virtual staffing platform that connects “support staff” in categories like admin and website support to clients that need help. At the moment they’re only accepting U.S. based candidates, but it’s a completely remote position, you can work from anywhere. You may have heard of their previous name, eaHELP, which was one of the fastest growing companies as ranked by Inc. Magazine back in 2015. Belay is the same business, they’ve just rebranded and brought a handful of similar companies together under the one name. Once you’ve been accepted into their platform (you will need at least a couple of years worth of related experience), it takes a little time to get matched with your ideal client, then you’ll start making money. They don’t like to publicly state what they pay their VA’s, but it’s more than fair for a part-time gig. If you’re a television addict, like me, and also have great typing skills, you can make money as a transcriber. The toughest part about this job is that your grammar needs to be on point, but if you’re good, you’ll have plenty of work available. To apply you just need to download and complete a transcription test, and if you meet their quality guidelines, you can start accepting projects. Companies like Focus Forward pay per audio minute, ranging from $0.40 to $0.65 as a rough average, but realistically you’re only going to be able to type out 15 to 20 minutes of audio in an hour. For writers looking to make a little money online, you’ll find a massive list of websites that will pay for your articles, as well as new opportunities being posted on their job board and consolidated in (almost) daily posts released on their blog. What I like is how some of the opportunities are so obscure, you’d never find these without the help from the FWJ team. 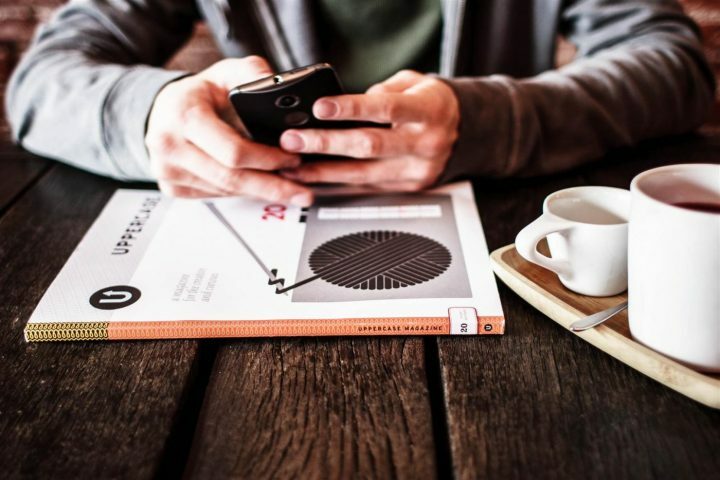 The best way to stay updated is to subscribe to the feed, so you never miss a new opportunity. How much you can earn will, of course, depend on the particular website you’re writing for. Some offer as little as $10 for a post, while others go into the hundreds. Gengo is a great option if you’re bilingual, and want to make money online by doing translation work. They have opportunities that come up around the clock, which means you can pick and choose the hours you want to work, and only select the jobs that interest you. Visit their sign up page. It’s free to register, and you can start translating content at $0.03 to $0.04 per word. Which is like $30 to $40 for a 1,000-word blog post. There are strict quality guidelines you’ll need to meet, and when you’re just starting out all of your work will be reviewed by senior translators in the team. But if you’re fluent in two languages, it’s a great way to earn a little extra money online. 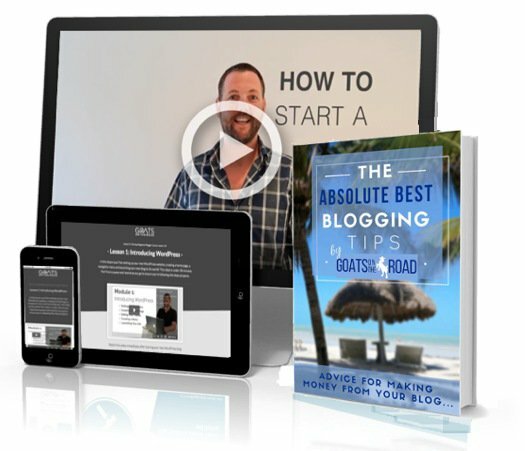 One of the top websites dedicated to making money with a blog, there are over 8,000 posts outlining exactly what it takes to become a successful blogger. But what you’re looking for is their jobs board. Just type “anywhere” into the Location box, and you can browse all of the writing gigs that would suit a digital nomad. 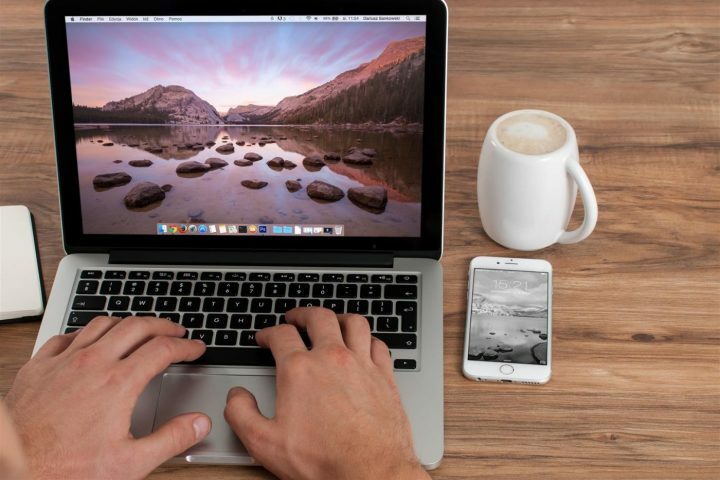 These projects all tend to revolve around content writing, journalism and editing, which is perfect for a writer looking to make a little money online. Your earnings will depend on the job, which can vary from $5 to $10 for a simple “SEO guest post” to $100 to $200 for quality articles. And best of all, you don’t need to create a profile before you start applying. The biggest source for freelance translation, they provide both training resources along with information, tools, and opportunities to become a professional translator. If you’re serious about creating a sustainable income through translation, this website should be your first stop. To apply for the jobs you must subscribe, and if you pay to become a member you get access to their premium database which allows for better classification and searching of opportunities. It’s $120 a year. Proz also states that paid members are four times more likely to meet new clients and secure new opportunities because they feature paid members in their directories. So you’ll be more prominent to any customers actively looking for translators with your particular skills. You can expect to make around $15 to $30 an hour on Proz. To begin teaching you must pass an exam in that subject, then you join the platform (it’s a video conferencing program like Skype), and start teaching students. They service clients around the world so you can work on your own terms, and expect to make anywhere from $9 to $11 an hour. Platforms like UserTesting are fantastic because they allow anyone to sign up and start giving feedback on websites. It’s free to join, and you can start making money as soon as your application is accepted. The idea is that clients pay UserTesting for feedback, who then source the feedback needed from their testers (what you’ll be doing). In my experience, most tests take about 10 to 15 minutes to complete, and you’ll get paid anywhere from $3 to $10 per test. You will need a good quality headset for your audio files to be accepted, and the only downside is that there’s a limited amount of clients, so you need to get in quick and start giving feedback before each job is closed. If you speak a second language, you can put your skills to use with websites like Verbalplanet. They’re a platform that connects language tutors with students all over the world, to teach lessons via Skype. You also get to work the hours you choose, and they don’t take a cut from your earnings. You will need to get your profile approved, and they’ll cross-check your experience and qualification, and then it’s just a matter of setting your rates and getting your first students. When you’re starting out, expect to make around $10 to $20 for a 45-minute lesson. Start Making Money On The Road! And there you have it. 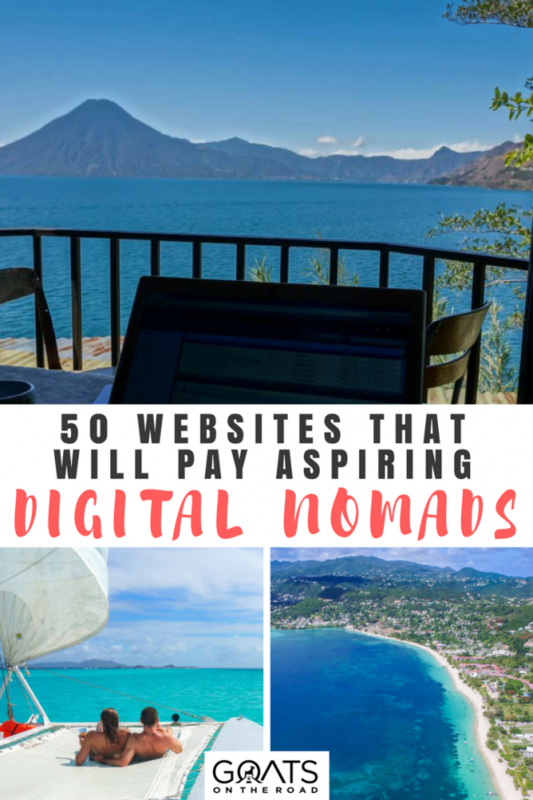 Fifty of the best websites that you can use to get paid as a digital nomad and start earning an income online. 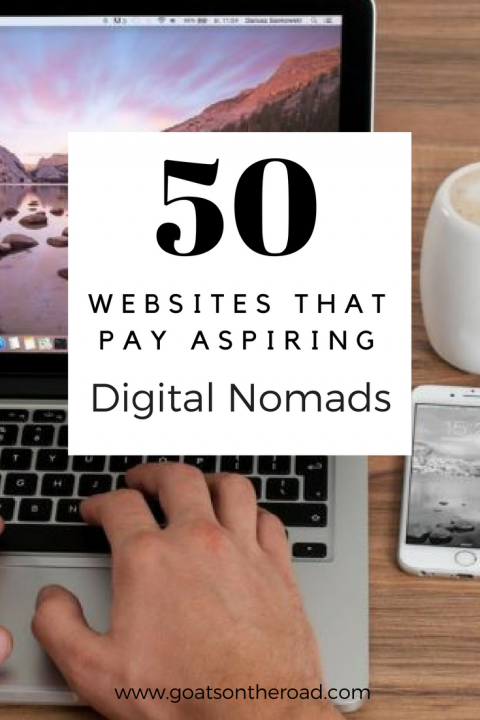 I have a few more listed in my jobs for digital nomads section on Nomad Stack, so there really are no more excuses. To make money online you just need to get to work. Start applying now. Click on the links in this post, head to each website, contact them and apply for a job. Once that first payment comes in it’ll be far easier to get the second, then the third, and soon you’ll be well on your way to building a digital nomad empire of your own – no matter where you choose to live in the world. And that’s a beautiful thing. I run Nomad Stack, a website packed full of tips, tools and advice to help you start your own adventure around the world. Thank you for sharing this, Travis! 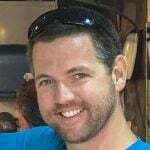 We’ve been looking for remote/flex jobs for my husband and keep finding duds. I found some PERFECT jobs from just a couple of the resources you included and I am so excited to show them to him! I always get nervous about certain sites and whether they’re actually worth the time signing up etc. Thank you this is inspiring! Looks ,like I stumbled onto this party a few years late :(, but hopefully there’s enough still current info to keep me busy for a while :).